Are you a student in any Higher institution and of Akwa Ibom Origin? Then This is an opportunity for you to avail yourself an apply for the scholarship program that is organised by the Senator representing Uyo Senatorial district, Senator Bassey Albert. With this Scholarship you stand to gain alot. “We are glad to welcome you to the second phase of Senator Bassey Albert undergraduate scholarship scheme. 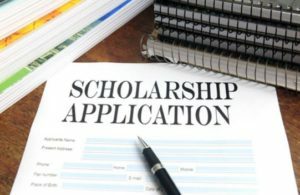 How to Apply for the Senator Bassey Albert Scholarship Scheme. – Do not fill out this form more than ONCE as doing so will automatically disqualify you. Do well to Share to your friends using the below hare button.